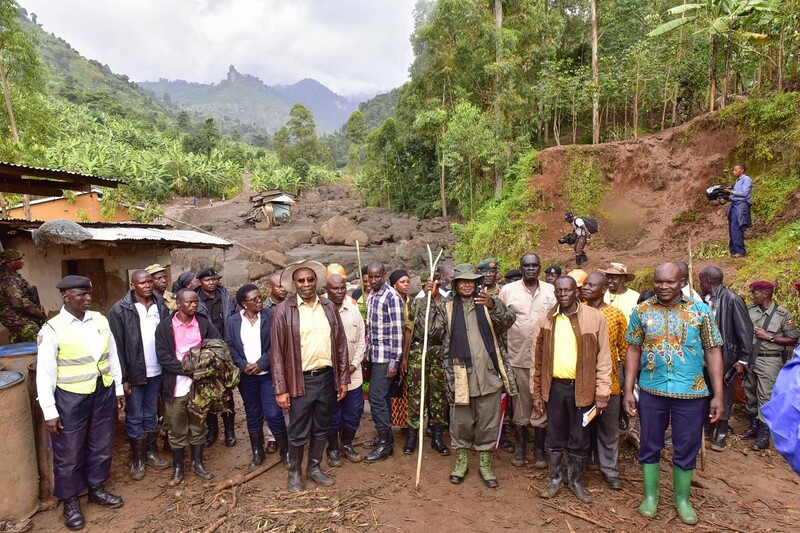 President Museveni has wholeheartedly apologised to the people of Lutsheshe in particular and Bududa District in general in Eastern Uganda’s Bugisu Su-Region for the delay in resettling those who are in landslide prone areas around Mount Elgon and assured them that government is now going to fast track their relocation to safe areas in the country. 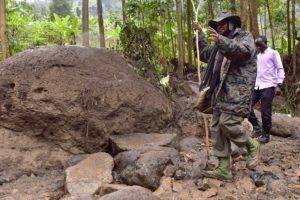 President Museveni was this paying his condolences to the people of Suume village in Bukalasi Sub-County, Bududa District who lost their loved ones in the Thursday 11th October landslide that swept some areas and left a score of people dead. According to the leadership of Bududa District, 44 people were killed and many others injured and some survived tragedy. President Museveni attributed the delay in the resettlement to lack of coordination among bureaucrats and also the political leadership of the district who were not following up all the planned resettlement exercise. “I was let down by my people. I am here to apologise on their behalf. A plan was made and the people had agreed to move. But it seems there was lack of coordination. I apologise for this; we are now going to move very fast,” he told the attentive mourners. President Museveni, noted that the government was now on the same page with the people on the issue of resettlement and added that Shs.8 billion that is budgeted for annually for the next 10 years, will be made available for this exercise. He said that government will settle those who want in trading centres. He, however, reminded them not to tamper with what God has put in place like cultivating on the hilly areas. The Minister of Disaster Preparedness and Refugees, Hon. Hillary Onek, said everything is in place for the resettlement of those who are affected. The Chairman of Bududa District said that the people of Bududa are ready to move even if they are given the green light today. Those present included the Prime Minister, Dr. Ruhakana Rugunda, line Ministers and Bududa District leadership.